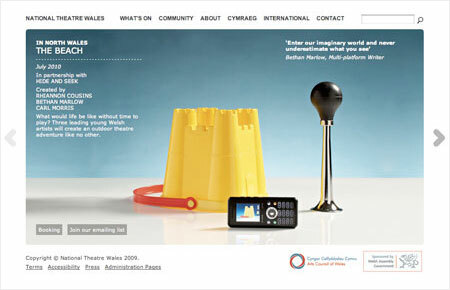 At 12.30pm on November 5th 2009, John E McGrath Artistic Director of National Theatre Wales (NTW) announced the company’s first year of work at a press briefing in Cardiff. It was simultaneously broadcast through video streaming to the world. Attracting nearly 3,000 internet users from all around the world, they joined staff, guests and artists that were in attendance at the live event, at the company’s shop/office at Castle Arcade, Cardiff. NTW’s first year of work intends to theatrically map Wales. Twelve shows over one year (plus an additional finale), will take place in locations across the country, bringing the very best of Welsh writing, performing and directing together with world class artists and world class ideas from across the globe.